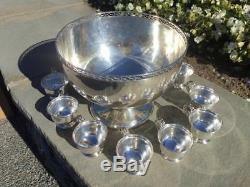 ART DECO STERLING SILVER PUNCH BOWL SET 12 CUPS W/ BOWL & LADLE DOMINICK & HAFF. 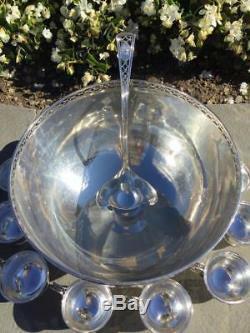 This elegant and ornate punchbowl set has a fancy, pierced top rim and pierced cup & ladle handles. Its raised pedestal base is rounded and very elegant. 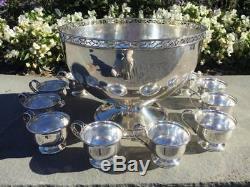 The set is in very good condition with only some small dings on the sides of the punch bowl and on a few of the cups. There are scratches from usage over the years throughout, but no deep gouges or anything objectionable. The pedestal base and top rim are both perfectly round as well as all the punch cups. 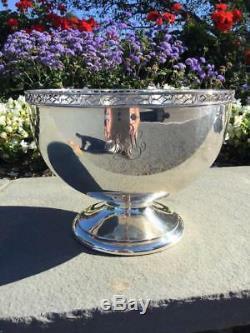 There is an ornate monogram on the front of the punch bowl, on the front of all 12 cups and on the ladle handle that reads "BLW" in script letters. The letter"L" is larger than the "B" and the "W" letters (see picture). 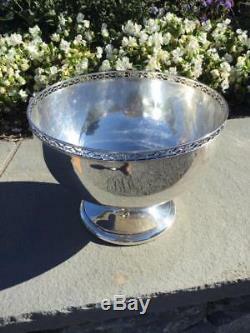 The punch bowl measures 8 3/4" tall and the top rim has a diameter of 11 3/4". The round base has a diameter of 7 1/2. Each cup measures 2 3/4 tall to the top of each handle. The top rim of each cup has a diameter of 3 3/16" and the round pedestal base of each cup has a diameter of 2 3/16". 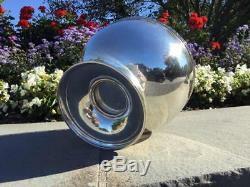 The ladle measures 11 1/2" long with the bowl of the ladle measuring 4" wide. 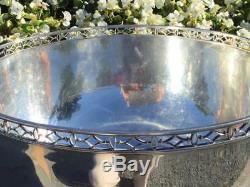 The punch bowl set weighed TOGETHER, AS A GROUP, weighs in at a 2,893 grams 93 Troy Oz. 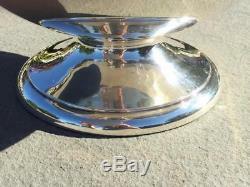 Of solid sterling silver (the cups all weigh differently between 86-96 grams each). 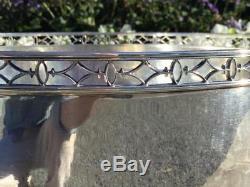 The punch bowl is marked underneath and reads "STERLING" with the number 3365 12 in. It also has the Dominick & Haff figural mark with "925" and the year "1914" with in the mark (see pictures). The 12 cups are all marked the same and read 25 STERLING with the Dominick & Haff figural mark. The ladle is marked on the back of the handle and reads Pat. 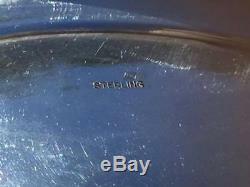 STERLING along with the Dominick & Haff figural mark. Dominick & Haff was created by H. Blanchard Dominick, a descendant of French Huguenots who came to America in 1740. Exceptional, collectible set that is sure to get lots of attention at parties, gatherings, events and holidays. Would make an excellent wedding or anniversary gift as well. PLEASE DO NOT ASK US TO PUT A LOWER VALUE OR TO MARK THE ITEM AS A GIFT. Get Supersized Images & Free Image Hosting. Create your brand with Auctiva's. Attention Sellers - Get Templates Image Hosting, Scheduling at Auctiva. 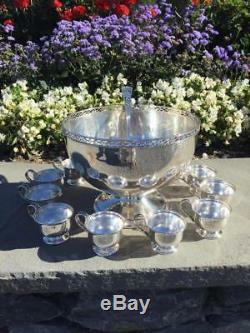 The item "ART DECO STERLING SILVER PUNCH BOWL SET 12 CUPS With BOWL & LADLE DOMINICK & HAFF" is in sale since Friday, June 15, 2018. This item is in the category "Antiques\Silver\Sterling Silver (. 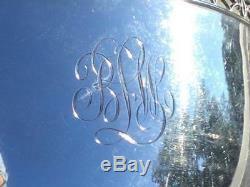 The seller is "theantiquegopher" and is located in Newport, Rhode Island. This item can be shipped worldwide.